Accepts all AGD .375" and 8mm stems. Accepts Dial and Test Indicators. Permanent magnet with on-off switch. Collar 206983 for 8mm stem. 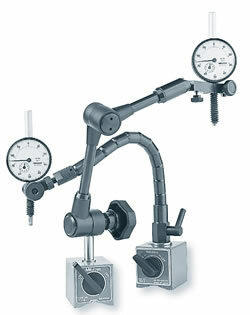 One clamping knob locks all flexible joints.